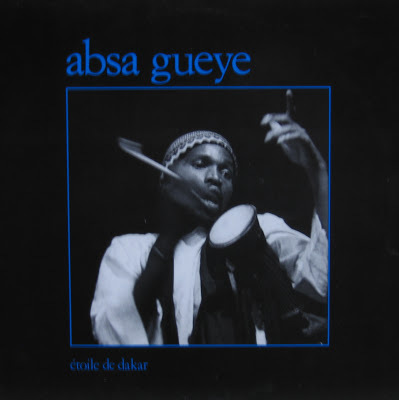 some digging I found the LP he worked on before that, ‘Absa Gueye’. interested, these were fine pieces of handicraft by the great ‘Assane’. 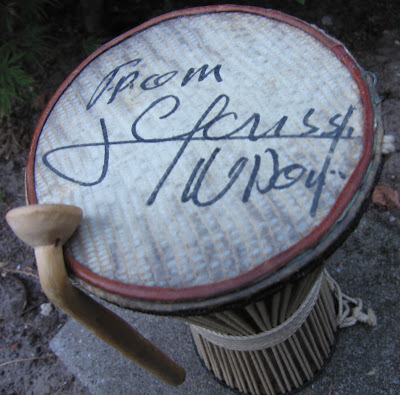 This entry was posted in Afro-Cuban, Mbalax, Senegal by Moos. Bookmark the permalink. 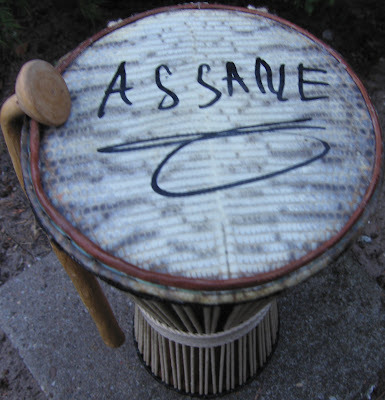 I love this instrument, the talking drum! Djeredjef as they say in Senegal! Yes,an authentic Tama-gog with caiman skin congratulations,I only could get one for tourist with goat skin. But will be you so kind to gift us the back of the photo album,please? I would love to see the credits with the composition of the band. I am really enjoying these gifts, many thanks. Insist on the perfect sound, I am really surprised that the mp3 can play with so quality the sound of a vinyl, I can hear the silence between the instruments and the voice separated from the rest of the band,fantastic. the backcover pic was sent to you by mail, cheers. So kind the posting, so great the music. Many thanks are given for your generosity of sharing great music, the rarely heard early Youssou before the fame, the sales. Much thanks. That’s a great story about the tama! I was there too in Rotterdam, Nighttown (can’t remember the year). I took a few black and white photo’s of Youssou, I was right in front of the stage. I love this album. “Tu veras” is my favorite track. Thanks so much.